Please Sign My Friend’s Petition — Justice and Answers for her Son and the Family. I am breaking away from my usual light banter to discuss a very serious matter. It all makes me so sick. David Pittarelli while unarmed was shot and killed on April 30th, 2015 by Ryan Cochran, a Kannapolis firefighter. It is said that the parties did not know each other and that there was no reported indication of how the supposed argument started. Nothing can make right that Ryan Cochran emptied his entire clip of his gun on an unarmed man. There has been mention of witnesses but no one has come forward. The shooter Ryan Cochran has not been charged and is on paid leave from his position as a firefighter. We are asking that this be further investigated and that charges be filed as this is clearly not a case of self defense and there are many questions left unanswered with the information that has been given. We feel as though there is a conflict of interest in the investigation because firefighters and police officers that work together in the same county. David Pittarelli deserves justice and with your help justice can be served. 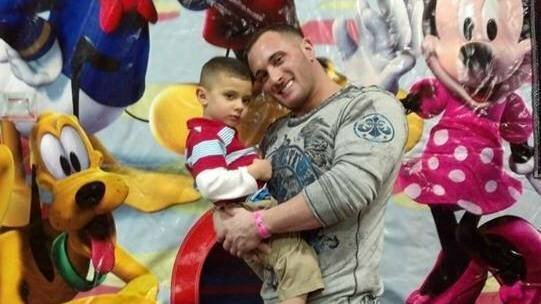 Further Investigation into the murder of David Pittarelli an unarmed father. I’m David’s Mom and my dear friend reminded me all I need to do is to speak my truth. I ask any witnesses to come forward and speak their truth for David, his son Kai and David’s family. I only had two conversations with the police which left me with many more questions than answers (I am still waiting for the Saturday 7pm update Detective Smith promised). He just kept repeating ‘I’m sorry I can’t answer that Ma’am, this is an on-going investigation’. He initially said, ‘There’s been an accident and David is dead’. I asked what kind of accident and was told ‘this is an active investigation and I cannot answer that’. I asked if it was a car accident and he told me No. I asked if Kristy was OK and he said she was home. I was desperately trying to piece together what went so tragically wrong last Thursday night and he gave me no relief – no compassion – no answers. I was alone in my home – on my knees begging him ….PLEASE – you cannot tell a Mother her son is dead and not tell her HOW – WHY – BY WHO. He finally told me it was a gunshot wound and they knew who did it but he was not in jail. He then gave me the Medical Examiners Phone Number and told me to call the Carolina Medical Center. I have learned most of the details surrounding David’s death from the News stories. When Detective Smith called me the second time – almost 12 hours later and relayed a few more details I told him I already knew all that – I heard it on the news. His response…’Don’t believe everything you hear on the news’. Well what are we to believe if the police won’t tell us? David’s gone – nothing will bring him home to his beautiful, innocent little boy or his family and many friends but Ryan Cochran needs to be held accountable. Like David’s Facebook Banner says – All we need is Faith in the Rock. The truth will come out. Please sign this petition. To sign the petition, please click on this link. This entry was posted in Obituaries, The Real World and tagged David Pittarelli, Petition, shooting death. Bookmark the permalink.